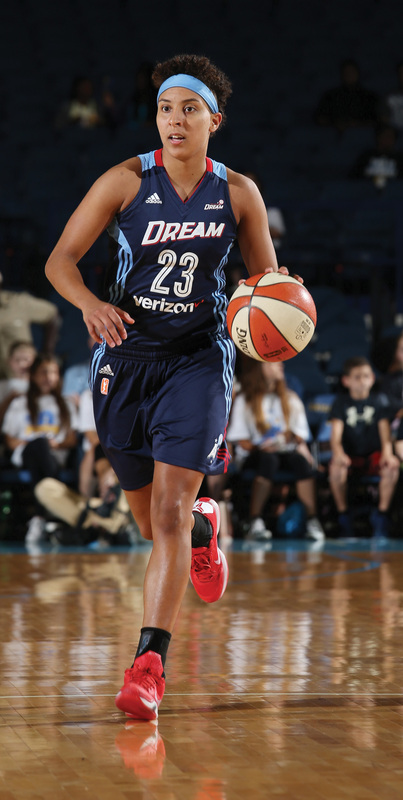 Home News & Opinion From the Magazine Atlanta Dream: Who will step up while Angel McCoughtry is out? Future goals Williams has plans to attend medical school and become a physician after retiring from the WNBA. Known for Toughness and tenacity. Last season was a breakout year for Clarendon, who became one of the top rebounding guards in the WNBA. Off the Court The self-described “biracial, black, gay, female, genderqueer, and Christian” player is an outspoken activist for social justice and LGBTQ rights. See the Dream: The team plays their home opener this weekend against the Chicago Sky at Georgia Tech’s McCamish Pavillion. This article originally appeared in our May 2017 issue.